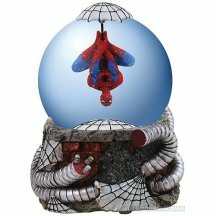 Water globes aren't just for the holidays anymore with this eye-catching Spider-Man Water Globe! Similar to Marvel's Amazing Spider-Man comic books, Spidey is seen here using his ingenuity to keep himself shielded from the snow as he hangs on a self-made web umbrella! 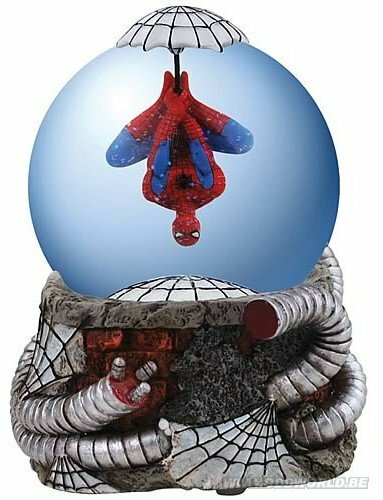 With a really cool design of Dr. Octopus' metal tentacles reaching menacingly around the base, this 6-inch (15 cm) Spider-Man Water Globe would look great in any collection!